Argentina’s economy may be stagnating, with the peso in freefall, however President Cristina Kirchner believes she faces an even bigger problem. Relations with the US have hit rock bottom and she says Washington may even want to get rid of her. Kirchner has been locked in a war of words with the United States concerning the restructuring of the country’s debt payments, following Argentina’s record $100 billion default in 2001. "If something was to happen to me, nobody should be looking to the east, but to the north after the things that are being done in diplomatic offices," President Kirchner said in a speech, broadcast on national television on Tuesday, according to AP. She said earlier that she had received threats from the Islamic State over her close ties to Pope Francis. She has been at loggerheads with US District Judge Thomas Griesa since the summer. At the end of June, he blocked an Argentinian payment, which would have given $539 million to bondholders. The judge banned it from servicing its restructured debt until a small group of US hedge funds had been paid in full. 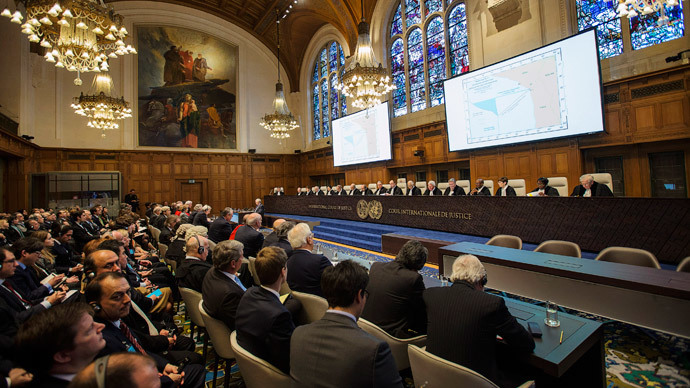 These creditors are demanding the payment of around $1.6 billion and he again ruled in their favor, holding Argentina in contempt of court on Monday. This led to a fiery response from the president. "All of this is not casual, and it comes from a senile judge," Kirchner said in a speech at the Presidential Palace, known as the ‘Pink House’. "Perhaps they will arrest me next time I go to New York, but let me be clear, I'm going to go anyway," she added, as reported by Reuters. 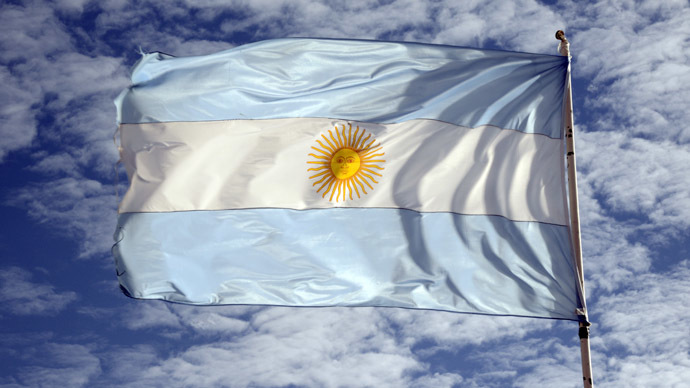 In defiance of the US Judge’s ruling, Argentina deposited a $161 million interest payment, according to the Economy Ministry. 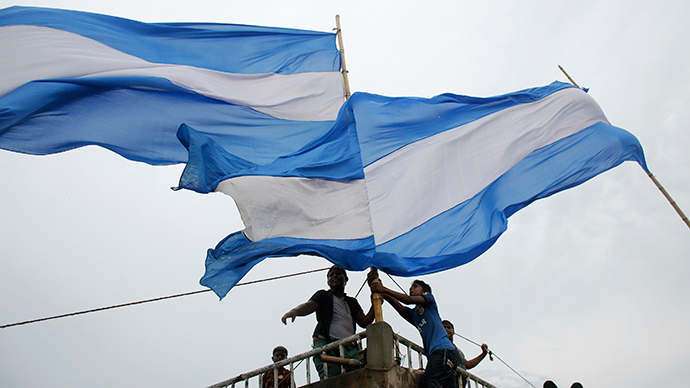 Rather than paying the hedge funds as Griesa had instructed, this money was intended for other local creditors, as the country continues to look to restructure its debt. 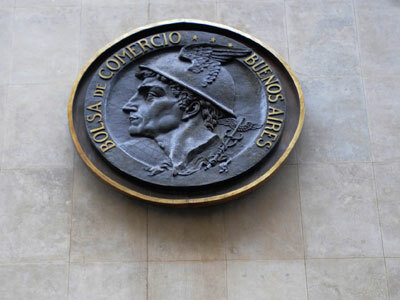 "By making this deposit, Argentina confirms once again its unshakeable commitment to meet its obligations to bondholders," the ministry said in a statement. However, local economist Roberto Drimer said, “This is about making a deposit so that no one can say you did not want to pay. Only a few will get paid,” Reuters reported. Kirchner not only reserved criticism for those in the US, but also those closer to home, saying there are some organizations within the Argentinian economy who are intent on bringing the country to its knees and they are not afraid to ask for help from abroad. She believes they are after a devaluation of the peso, which last month Bloomberg described as the worst-performing major currency in the world this year and that it had lost 22 percent of its value. If the peso continues to be driven down, it will make exports more attractive and thus boosting profits. ”It's clear they want an end to our debt restructuring, an end to the labor contracts, they want a return to the past, when Argentina was on its knees begging for money at exorbitant interest rates,” the president said. 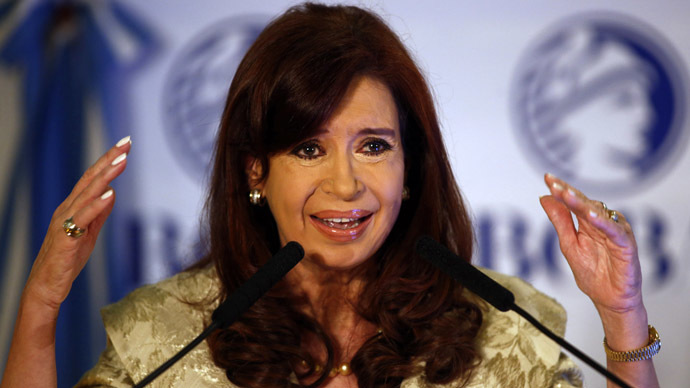 “In the ’90s, Argentina supposedly was the best of the class for the multilateral organizations, but it was a house of cards and when it collapsed, instead of helping out, they came running to recover their money,” Kirchner added in her speech, which was reported by MercoPress news agency. Kirchner has faced plenty of criticism from opposition parties in Argentina for her economic policies and Argentine political analyst Ignacio Fidanza says she is trying to put the blame on the US in order to take the spotlight of her economic woes at home. "She's trying to attribute all these local disgraces to a conspiracy with roots in the United States, and that's something that resonates well with certain social sectors in Argentina," he said, AP reported. 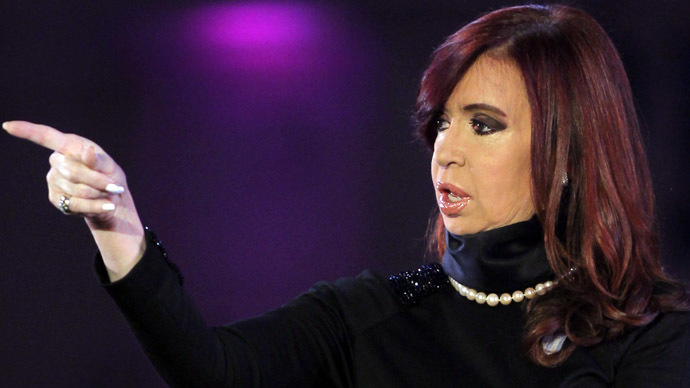 Also on Monday the US embassy in Buenos Aires warned its citizens about rising crime in Argentina – a move Kirchner described as a provocation to which she will not respond. The president’s stance has certainly improved her popularity at home. Her approval has risen in the opinion polls, despite high inflation and crime.